The Ghirardelli Vineyard spreads over 25.5 acres of rolling hills near Burson in western Calaveras County. 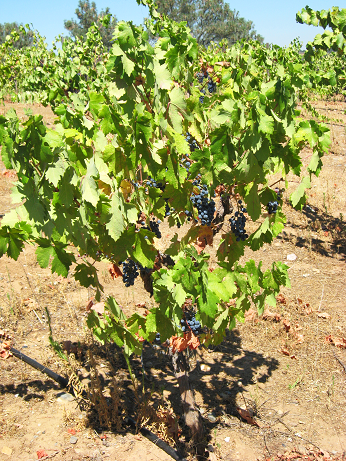 This Zinfandel vineyard is the oldest in the county. It is owned by Alan and Robert Ghirardelli. Like their father and grandfather before them, the Ghirardelli brothers tend the gnarled vines and preserve a family tradition that is over 100 years old. Alan is quick to point out that they are not related to Ghirardelli Chocolate. 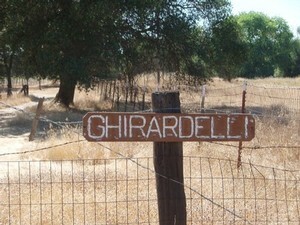 "Our family vineyard has survived and the Ghirardelli Chocolate Company was sold long ago," says Alan Ghirardelli. Grandfather Ghirardelli emigrated from Genoa, Italy in the 1890s. He worked in the Jackson gold mines and in 1900 was able to purchase an established 7.5 acre vineyard on Pettinger Road in Burson. Starting in 1900, the family operated Standard Fruit and Produce on 6th Street in San Francisco. From 1900 to 1938 they had tenants managing the vineyard and the grapes were shipped by rail from Calaveras County to San Francisco for sale to home winemakers. In 1938, their tenant at the Pettinger Road vineyard was arrested for bootlegging brandy. At the suggestion of the revenue agent, the Ghirardellis took over farming the vineyard. It was during this time that additional vineyards were planted: 11 acres in 1942 and 7 acres in 1951. After 1968 the railroad spur in Burson closed down and the Ghirardelli family looked for new customers for their grapes. By this time the California wine industry was experiencing a renaissance with renewed interest in Zinfandel. Beginning in the 1970s the family sold grapes to local wineries. 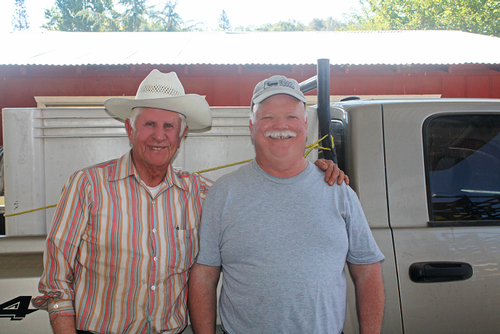 In 1990 Alan Ghirardelli called Steve Millier and offered him the grapes from his historic vineyard. 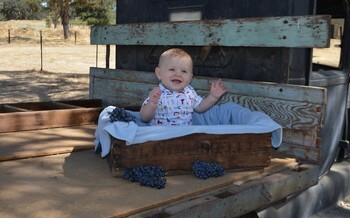 Steve was thrilled with the opportunity to work with Old Vine Zinfandel grapes. Since that time Milliaire Winery has had extraordinary success producing outstanding wines from this iconic vineyard. The vineyard is unique, even among old Foothill vineyards. The grapes are dry-farmed; there is no irrigation. The vines are trained in the old Italian style; as "little trees". They are head-trained and spur-pruned. The vineyard site is also located on an ancient river bed. The soils are especially shallow, averaging 1.5 to 2 feet deep. They have excellent drainage combined with good air circulation in the vineyard, so the grapes can ripen with no threat of mold. For this reason, the Ghirardellis have been able to continue their family tradition of organic farming for over 100 years. All these viticultural factors combine to produce a low-yielding vineyard, averaging one ton of grapes per acre. Those few tons have extraordinary concentration of flavor and intense varietal character. UC Davis viticulturalists have taken cuttings from the vineyard to enhance their own test vineyard, and to establish the Ghirardelli clone of Zinfandel. Today Alan and Robert are sharing day to day management of the vineyard with the next generation of the Ghirardelli family. Two of Robert's children, Alice and David, are now actively participating in managing the vineyard. The next generation of the Ghirardelli family is infusing new energy into the vineyard and each has their own project to contribute. Alice Ghirardelli has replanted the vineyard originally established in 1951 using Ghirardelli cloned Zinfandel planted on disease resistant root stock. Alice is a civil engineer by training and brings a structural focus to the vineyard. When she replanted the vineyard she realized the young vines would need more water than was available. Alice is a woman of action - she dug a well. When she realized that the cost to bring power to the well was prohibitive - she established a solar farm. David Ghirardelli has taken on the task of revitalizing the 100 plus year old vineyard by standing the vines up and letting them reinvigorate themselves. Some of the historic vines had lost all semblance of being "little trees" and were sprawling on the ground. He has taken these vines and re-staked them, allowing the vines to spread out and receive more sunshine and nutrients. He has established a composting program to reintroduce organic matter and nutrients to the vineyard. David has also taken on the project of bringing back the white grape varieties that were part of the original planting. In 2012 Milliaire Winery produced the first ever bottling of white wine from the vineyard, "Ghirardelli Bianco".